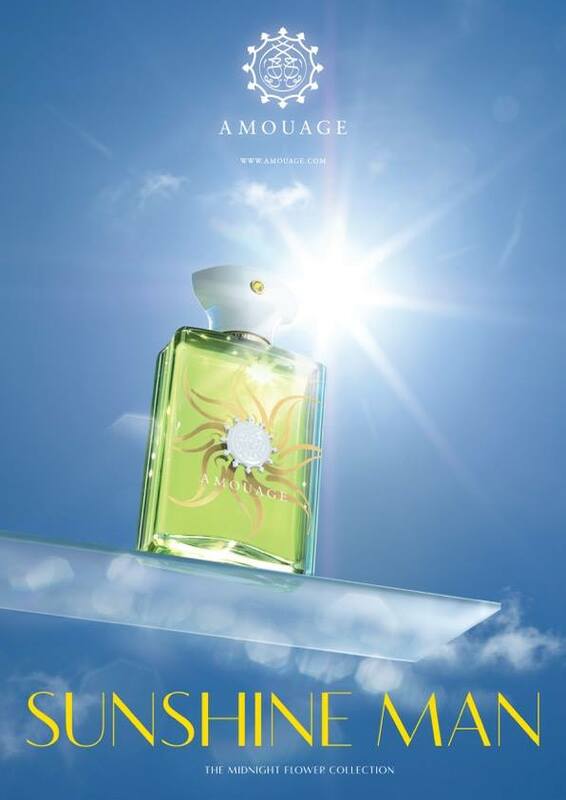 Sunshine Man is a popular perfume by Amouage for men and was released in 2015. The scent is sweet-floral. Projection and longevity are above-average. It is still in production. The name's the program, isn't it? I have read a lot of comments about this fragrance, most of them classify it more as autumn/winter fragrance, which I can not really understand after my first test. I would never wear this scent in winter, it screams for me literally summer! You all know him... the never-ending summer of 2018! He's beautiful, but he also gave us a hard time. What do you wear? In the morning winter clothes, at noon bath book? What the hell is going on here? As hard as choosing clothes is choosing a fragrance! Today it fell on Sunshine Man! 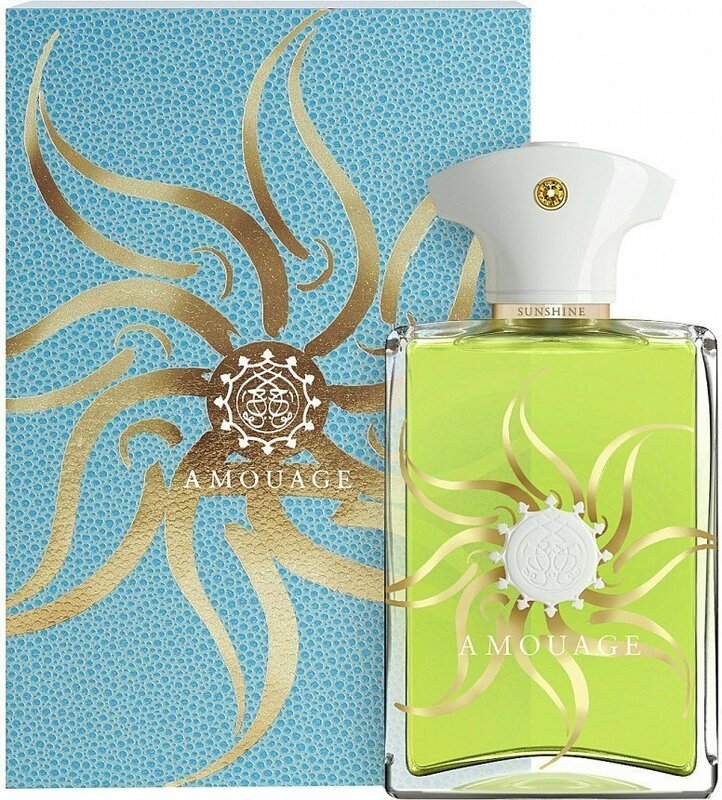 A more "cheerful", easier to understand Amouage. Aaaaaaber, isn't summer over? What's orange-citric is a summer scent? Sunshine is a great fragrance. It's orange, but it's more like autumn. He's not sour. He has something "candied", something I found annoying at first. Gourmandig-citrical? Now I just love that about him. I'd call him the inner circle crowdpleaser. Many like him, but those who understand him love him! Sun-Shrine Man - holy or sacred Scent!?? Better one could not describe the charisma that this smell has on me! Amouage and I are usually a delicate subject! 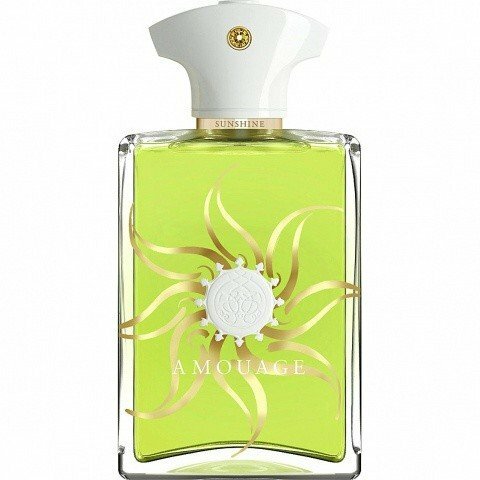 But here and in general with the Midnightflower Edition Amouage caught me! Probably because they're not typical Amouage´s? Who knows!! LAVENDEL - in addition there is a wonderful creamy orange that alternates a bit in the first hour. Afterwards the creamy ORANGE comes to the fore. Less spicy as you are used to from other Amouages...more creamy. In the heart I perceive the SALBEI most strongly. VANILLE and TONKA only really after 3-4 hours in the base, but still a certain flowery fresh! Way to go! Very clear. For me SUNSHINE MAN is the best and most suitable for everyday use of the Midnightflower Trilogy! Also BEACH HUT and BRACKEN are good, but SUNSHINE gets it to be unique and yet universal and suitable for everyday use. NO QUESTION! All three are great scents. But Sunshine is the most uniqueAAND mass appealing! My last order included some samples of Amouage. An official sample of Amouage including a small tester with lid. 2ml is optimal to do some tests. Not quite cheap for 7 euros, but that's not the brand. I have also written this on my test list for quite some time, since it fits sweetly and floridly into my baggage scheme with the directions. A great topic with Sunshine. For me, the top note begins somewhat inharmonic. Something's bothering me. A strange, headstrong spice paired with the lavender, some brandy and a pleasant floral note. Fortunately, it quickly becomes softer and the disturbing thing disappears. After ten minutes the fragrance is wonderfully soft and reminds me slightly of dextrose. Not megasweet, but it smells like dextrose. Also fresh and fruity notes are very present and a great counter component. Fresh sage keeps the fragrance very fresh. Very balanced the whole. In the base come woods, vanilla and tonka en mass. The final phase reminds me extremely of the Dry-Down's a la Code Profumo etc., which is not meant derogatory. I just like cuddly scents that fade away softly. In the end, I miss the big highlight, which finally leads me to buy. From spraying on up to the approx. 5th hour it is already very individual and unique. Since it is a fragrance with a lot of fragrance development, the basic DNA disappears easily and it comes to a rather ordinary base. Nevertheless, a fragrance that I like very much. But for the price? You can get it "already" for about 250 Euro. If that's worth it I'll leave it open for a while and everyone has to decide for himself. Performance is really good. Shelf life approx. 10-12 hours with relatively good Sillage even after a few hours. That's definitely not the problem. It can be used in many ways, not only in sunshine. Especially the beautiful sweetness. Also suitable for ladies, but in the department there is far better stuff in the flowery direction. I will leave the price out of my evaluation, because otherwise it would be much worse. It's always worth a test. Rose geranium on vanilla and some herbal toothpaste for freshness? P.S. ; At the end comes the cedar wood vanilla base with residues of this previous bähh geranium note, which I don't like at all. I am now looking forward to more surprises while testing this surreal expensive brand. What lasts long finally smells good! Sunshine Man took by far the most time to get to know each other. Normally, especially when it comes to perfumes, I take the liberty of making a quick judgment. Here it has a whole filling of 5ml used - which corresponds with the Sillage and durability approximately to an equivalent of 50ml of a Cologne. Thanks at this point to Fab83 for the bottling. 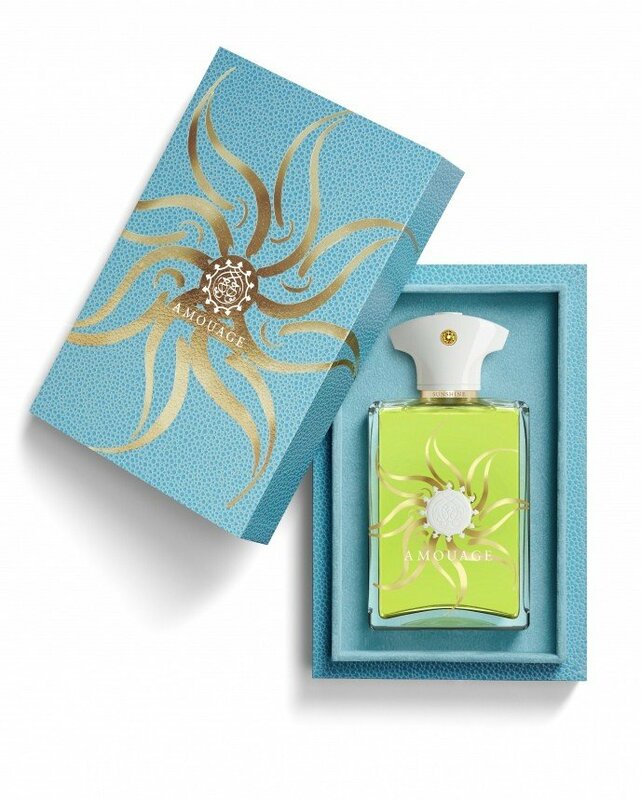 Sunshine is definitely a fragrance that must be intensively tested. I can still remember very clearly my first encounter in my trunk perfumery. I just found the scent there exuberantly sweet, intense and opaque. As with so many Amouage fragrances, it seems to me, it is due to their complexity that you have to hold your nose to them from time to time. Since I am an absolutely convinced fan of Bracken Man, who, like Sunshine, belongs to Amouage's "The Midnight Flower Collection", I decided to try Sunshine regularly and spray it on myself. I wanted to expose myself, so to speak, to this fragrance in order to see whether it proved itself and showed other facets. So it manages to convince me. There's one thing you should definitely consider: Sunshine is present. Really, every time I had Sunshine on, someone would talk to me. To be fair, you have to say positive throughout. But as soon as you put a sprayer on it, no matter where on the body, it is perceived. The alcoholic effect of the "lavender-orange-whatever-always-note" can be seen throughout. I write something like this in a distorted way, because I absolutely like lavender and somehow I could not understand that so many perfumes here smell or are said to smell lavender intensively. If I compare it with Caron's absolutely fantastic fragrance "Caron pour un Homme", one discovers a similarity, but this is more to do with vanilla. The vanilla of Sunshine gives the fragrance a slightly smoky (tonka bean? ), synthetic but sweet-powdery note that remains constantly present. That's what I'm talking about now. Absolutely positive. The longer I tested the fragrance, the better I found the composition, because you always smell a slightly different side of the fragrance. Many also speak of an alcoholic or tipsy orange. I myself perceive a fresh, citrus-like note that is somewhat menthol-alcoholic. I guess it's the bergamot and juniper berry that's supposed to be in there. But I have to confess that I don't smell anything at all (anyone who knows gin or drinks juniper might be able to confirm that). In any case, this note makes the fragrance a little more versatile. But with all my versatility, I must confess: Classic fragrance? Nothing. I get the impression there are two stages. First a warm-up with a huge load of sweetness, vanilla icing sugar poured over one and then simply after about 10-15 minutes a never-ending exposure of sweet alcohol and sugared orange slices - very strongly sugared orange slices. You notice I struggle with myself to describe the scent. He clearly reads worse than he is. But it might make it clear why it took me an incredibly long time to like it. You gotta hand it to Amouage, you'd think that with a name like Sunshine Man that they would go the same old route and go heavy with citrus/ginger/light floral notes or go aquatic/calone. Sure, there's bergamot and supposedly orange in there but it seems muted. If you're looking for a warm weather scent that is "sparkling", bright or sharp then you might be disappointed. Sunshine is going with Tonka beans and rather toned down florals like immortelle and a dry lavender. I think the brandy gives it a syrupy sweet side that may turn off some folks. Also, because of the immortelle it might even come across as rather medicinal so keep that in mind. For what Amouage costs the projection off of my skin falls way too short and so does the life of this juice. I'm glad I only got myself a decant, I suggest the same for you unless you're an Amouage fan club member. Finally a new concept in lavender-vanille mix. I am really surprised about this one. I´ve read a lot of bad reviews about this perfume, and finally when I´ve smelled it, I´ve found an original combination of vanille + lavender, never done before. Maybe is different for some people was waiting in a vanille-lavender conoction, we don´t have here the classical barbershop lavender tone (at last) neither the typical attempt to modernize the classic barbershop vibe with the gourmandy aspect of vanille (thank God) so abused in the 90´s. We have a lavender here, softened and sweetened with vanille but not in a foody way if not in a airy, transparent and shiny character. More from the way that Beloved man does with its transparent sweetened spices and flowers creating an illusionary iris atmosphere. Simply new and unexplored idea of a classic combination of ingredients. One lavender can shine and bright without being classic or bizarre. Maybe expensive for a comfort and safe scent (same case in beloved man) but innovation, balance, good taste and quality of ingredients has its price. Let me give folks a very quick review for those who are looking for an early verdict on Sunshine Man... The best way to describe my opinion of the composition is in one word, "terrible." With that said, my further thoughts for anyone who really wants to waste more time on this unfortunate concoction are that while the composition is neither derivative nor lacking innovation, it leaves one with a distinct feeling that it was a bizarre lab experiment gone awry that Amouage decided to move forward with despite knowing so, or at least should have. I have enjoyed lavender when coupled with lemon before like found in the great simplistic Living Lavender by the talented Roberto Dario for his own line released last year, but its implementation here with the medicinal orange (what Amouage rather optimistically refers to as "orange brandy" in the official notes list) and even pineapple of all things is scary stuff indeed. Add to this disgusting combination the significant sweetness and *dill,* and you have a really poor end result to put it mildly. The only minor saving grace for this mess is the late dry-down when the sweet fruit and lavender, dill and all vacate, leaving a boring but passable cedar wood and powdery vanilla finish. The truth is Sunshine Man has the word "scrubber" written all over it from the moment of application. As an aside, near equally puzzling to the ultimate question of why this lab experiment gone wrong was released is the company releasing it. It is true Amouage has branched out somewhat from it early roots that lead to most of its best offerings, but if someone had me sample Sunshine Man blind, I would never in a million years have guessed this was an Amouage release as it has absolutely *none* of the hallmarks the house is known for. The bottom line is the $395 per 100ml Sunshine Man is an outlandishly "poor" rated offering from a house that is apparently looking unsuccessfully for a new identity, earning it a 1 to 1.5 star out of 5 rating and an extremely strong avoid at all costs recommendation to all. Take "Pour Un Homme de Caron".